The rotator cuff can be damaged by traumatic injuries or repetitive overuse during work or sport activities. It may also be affected by degenerative processes due to aging, calcification or spur formation in the overlying acromion. The rotator cuff is a sheet of tough fibrous tendon tissue connecting muscles from the shoulder blade (scapula) to the arm bone (humerus). It is formed by the tendons of four muscles: an elevator (supraspinatus), an internal rotator (subscapularis) and two external rotators (infraspinatus and teres minor). The main task of the rotator cuff is to keep the ball (humeral head) of the shoulder joint firmly in the socket (glenoid) so that powerful muscles around the shoulder can rotate and position the arm for functional movements. The rotator cuff lies deep underneath the deltoid, pectoralis major and trapezius muscles. Although problems can arise in any of the tendons of the rotator cuff, the supraspinatus is the most commonly affected. The tendon has a relatively poor blood supply and passes through a narrow arch under the tip of the shoulder blade (acromion). Normally there is a lubricating membrane called the subacromial bursa which allows the tendon to glide smoothly under the acromion as the arm moves. The supraspinatus tendon may become swollen and inflamed (tendonitis) , it may rub against the overlying acromion (impingement). This may cause the bursa to also become inflamed (bursitis) and eventually the tendon may tear. Tears of the rotator cuff may be either partial-thickness or full-thickness, and may involve one, two or all the tendons. In the late stage of the disease, a special type of arthritis may develop, called cuff tear arthropathy. Not all patients with rotator cuff disease will progress through all these stages. Pain from rotator cuff disease is usually felt around the shoulder, with radiation of pain down to the arm, often as far as the elbow. The pain is typically associated with particular actions such as lifting, reaching, throwing but may also be triggered by lying or sleeping on the affected shoulder. As the disease progresses, the arm may become weaker and may grind or catch. In severe cases it may not be possible to elevate the arm. The diagnosis is usually made by a consultation and physical examination with your surgeon. Often imaging tests are used to determine the location, extent and nature of any bone spur or tendon tear. Examples include x-rays, ultrasound scans or magnetic resonance (MRI) scans. What Is The Treatment Of Rotator Cuff Disease? Treatment depends on the stage of the disease. In the early stage of tendonitis, anti-inflammatory medication and simple painkillers may help, in addition to modifying daily activities to avoid excessive or repetitive lifting of the arm, where possible. If these measures do not help, injections of cortisone (an anti-inflammatory drug and one of the body’s natural hormones) into the bursa may help relieve inflammation more directly. However, if there is a more mechanical element to the pain, then physiotherapy to rebalance the muscle strength around the shoulder and open up the space for the tendon, may also prove effective. In some cases where there has been no response to these treatments, surgery may be indicated. In our Unit, the most important surgical procedure for impingement syndrome is arthroscopic acrominioplasty (also called subacromial decompression). In this “keyhole” operation a small amount of bone is shaved from the underside of the acromion to make more room for the tendon to slide underneath. If a tear is present, it may be combined with trimming of the tendon (debridement) or repair of the tendon. In more complex cases repair may not be possible through a keyhole approach, and an open incision may be required. If the tendons are not repairable, then sometimes a debridement procedure can provide good pain relief, although other options include using other tendons to replace the torn tendon, or a special type of joint replacement. If a patient has impingement (tendonitis, bursitis) and non operative measures have failed, an arthroscopic subacromial decompression may be performed. The aim of the operation is to remove inflammatory tissue and increase the space for the rotator cuff tendons to move, reducing the friction between the overlying structures and tendons. In order to accomplish this, a small amount of bone is shaved away from the acromion making a smooth surface and soft tissues (including a ligament) are released. The operation is usually performed with regional anaesthesia involving a nerve block to the arm, together with sedation or general anaesthetic depending on the individual. In some cases the patient may remain awake during the procedure and indeed watch the operation on the monitors in theatre. The operation is generally performed as a day case or over night stay if performed late in the day. 2-3 small (0.5cm) wounds are required to place arthroscope (camera) into the shoulder, together with the instruments to perform the operation. Following the surgery the arm is placed in a sling for 2 – 3 days. By 2 weeks post surgery, the patient should be able to raise the arm above shoulder height, achieving full range shortly afterwards, as the bruising from the operation resolves. Patients resume driving 1-2 weeks after the intervention. Physiotherapy is commenced. By 8 weeks postoperative, a full range of movement and reasonable strength should have returned. 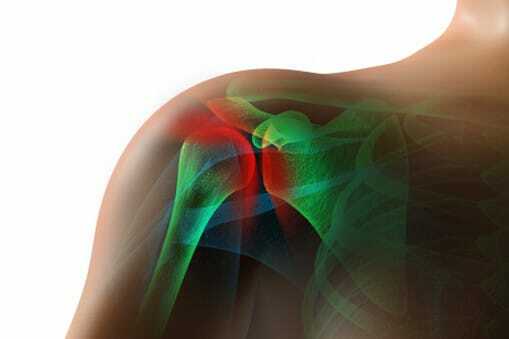 Patients often state that the shoulder is OK but is not yet 100% normal. Over the following 3 months, the shoulder regains strength such that 85% of patients will consider the results of the operation to be good / excellent, with 14% satisfactory, though 1% of patients may be disappointed with progress. A complete rotator cuff tear will not heal and generally complete tendon tears require surgery to allow the healing process to take place. The surgery can be performed either arthroscopically (keyhole surgery) or through an open technique. In our Unit, the majority of procedures are performed arthroscopically, as this minimises potential risks and complications, reduces postoperative pain and hospital stay and also allows quicker rehabilitation. It should be recognised however that this is a technically demanding procedure requiring specialised training. The surgery involves stitching the torn tendon back to the bone from which it has been detached (humerus). In order to secure the tendon to the bone, the sutures are connected to metal/bio absorbable anchors which are embedded into the bone. This provides a secure fixation point. The sutures are then passed through the torn tendon, which is then tied back to the bone. Up to five anchors may be required to achieve a satisfactory fixation of the tendons, such that it is attached back to its original footprint on the bone. The operation is usually performed with regional anaesthesia involving a nerve block to the arm, together with sedation or general anaesthetic depending on the individual. Because of the time taken to perform the surgery, together with its complexity , patients rarely remain awake during the procedure. The operation is generally performed as a day case or over night stay if performed late in the day. 4 – 5 small (0.5cm) wounds are required to place arthroscope (camera) into the shoulder, together with the instruments to perform the operation. As part of the procedure, a subcromial decompression is also performed (see above), to allow more space for the repaired tendons to move, once rehabilitation is commenced. In order for the tendons to heal, the arm will be immobilised in a sling for at least 3 weeks before the shoulder range of movement is re-established. During the initial period many patients experience significant sleep disturbance and regular analgesia is likely to be required. A strengthening programme is subsequently employed usually allowing light weights 6 – 8 weeks post surgery. Rehabilitation my continue for 6 months following the procedure. Commitment to the physiotherapy programme is fundamental to the success of the surgery. 95% of patients undergoing arthroscopic rotator cuff repair are satisfied at 2 years follow up. If a tendon is partially torn then either the tear will be simply debrided and or it may be completed to allow a formal repair to be performed. Often the decision is not made until the tendon injury has been directly visualised with the arthroscope (camera). Your surgeon will discuss the rationale for treatment before the operation. It should be recognised that if a formal repair is undertaken, there is a necessity for a sling for 3 – 4 weeks post intervention. A subcromial decompression will generally also be performed. To ask a question about the rotator cuff or to book an appointment, contact our specialist team available Monday – Friday 8am – 6pm. Our shoulder team have a dedicated and caring approach and will seek to find you the earliest appointment possible with the correct specialist for your needs.